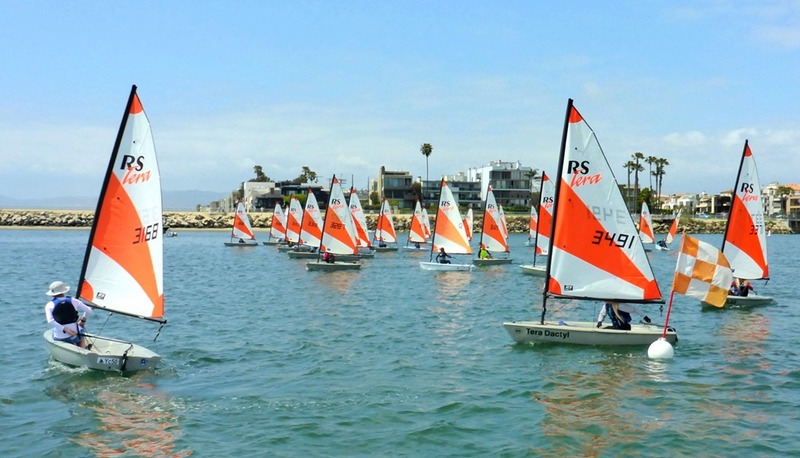 30 junior sailors from 7 SoCal clubs raced RS Teras at California Yacht Club on May 12th in Marina del Rey. 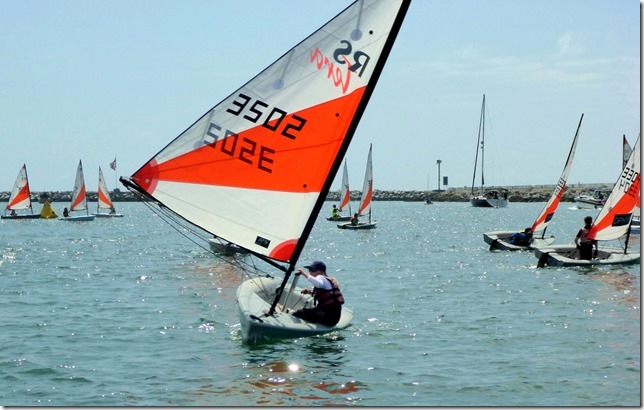 Tight competition in the upper half of the fleet was dominated by Cal YC’s racing team. 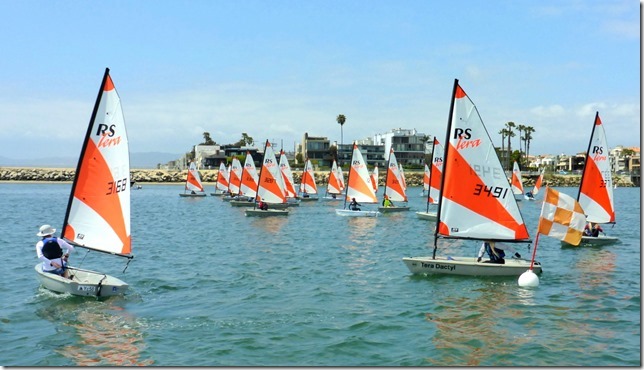 The record turnout was a result of recent additions to program owned fleets that now span the region from Orange County to Santa Barbara. 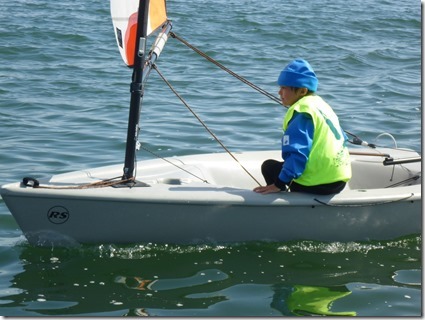 The youngest sailor, age 7, Miles Gordon of Santa Monica Windjammers managed a very respectable effort to place in the top half of the fleet. 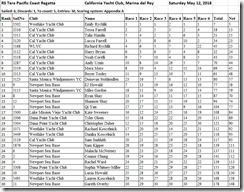 2016 West Coast Tera champ Tessa Farrell and CYC’s Talia Hamlin, tied going into the 5th race, placed 2nd and 3rd. 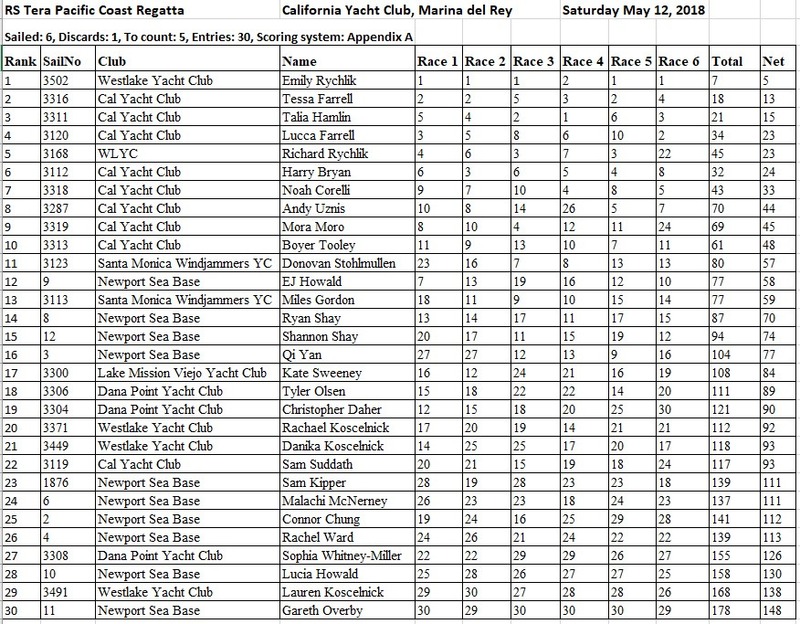 Taking top spot, Emily Rychlik of Westlake Yacht Club showed great light air technique and big fleet skills to sail a near perfect regatta with 5 firsts - and this regatta was the first time she sailed a Tera! Click image below for complete results.